Peppers are known for the beautiful colors – shades of reds, greens, purples, and oranges fuel the pepper scale. But, let’s give some love the the white pepper. It’s a unique beauty among its peers – subtle yet sleek and still plenty of heat to be had. Beyond that subtle beauty, why else do white peppers matter? There’s a very functional place for them in the kitchen. Their creamy hues blend in perfectly with cream-based sauces. 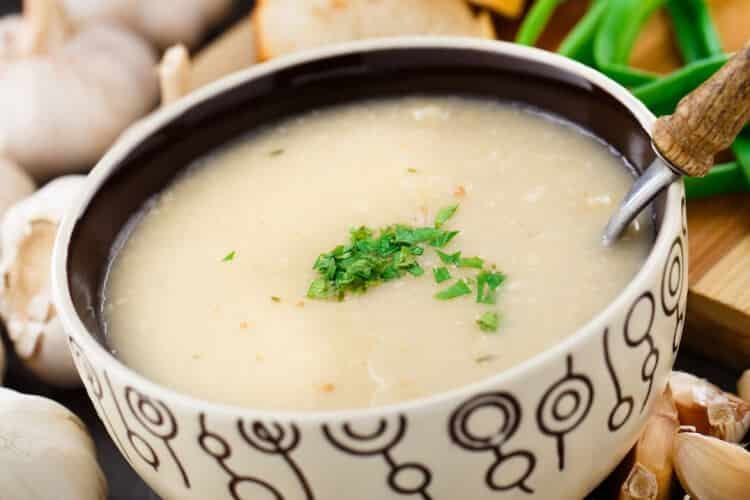 There are no greens and reds marring the perfect white creaminess of a spicy béchamel sauce, no coloration changes when processing that pasta cream sauce. They hide where the heat comes from very well. In our white peppers guide, we break down your best options for these cream colored beauties. 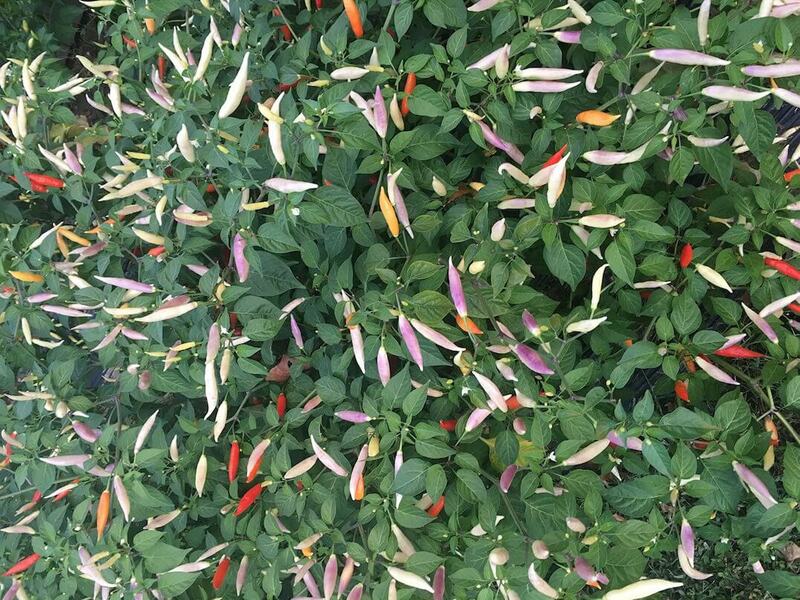 We include plants that not only provide white as its primary color, but also multi-colored pepper plants where white is part of the overall scheme. 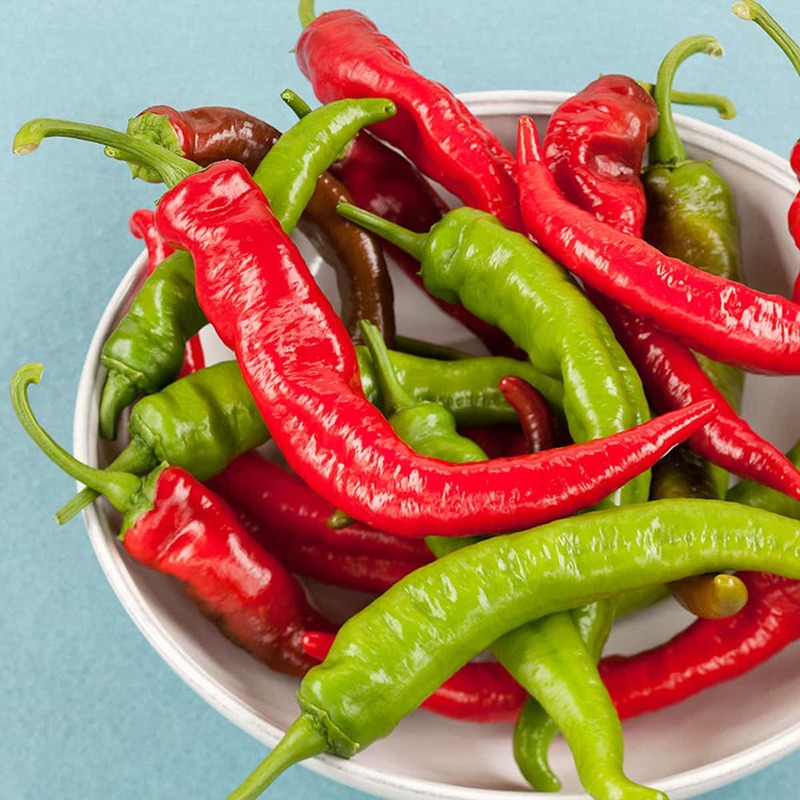 The fish pepper is one of our favorite chilies on the pepper scale, not only for its flavor and beauty, but also for its history (read our profile to learn more). The fish pepper is multi-hued, but while it’s very young it takes on a whitish shade (off-white to whitish-green). Chefs have used the fish pepper while in this young white state to heat many cream sauce recipes (as mentioned to keep the color of the sauce as close to pure white as possible). The spiciness of the fish pepper is a perfect cooking range as well – running up the meaty portion of medium heat, from jalapeño level up to the spiciness of a mild cayenne pepper. There are many colors in the Aji Omnicolor – to be expected from the name. 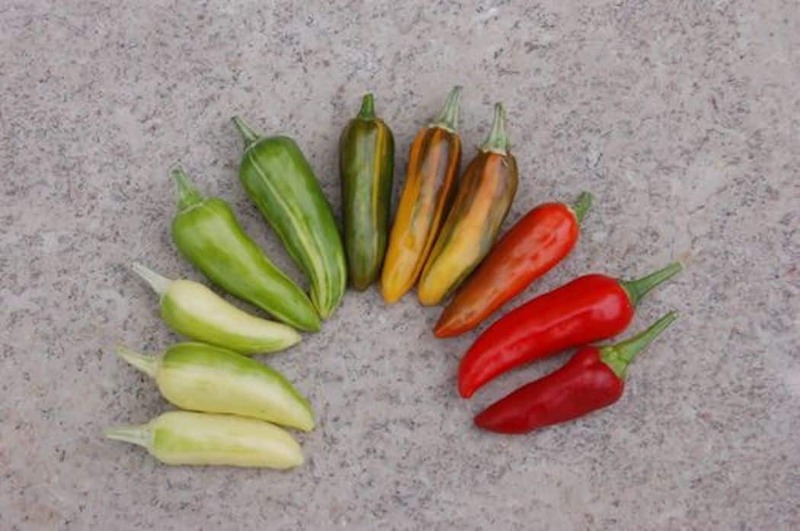 But unlike other multi-colored ornamental peppers, there are beautiful shades of white in the mix – sometimes a solid off-white, other times a mix of white and light pastel hues on one pod. Its heat is medium, but more substantial than the fish pepper – it shares the same heat profile as a cayenne pepper. Best of all, unlike many other ornamentals, there’s a good amount of flavor in the Aji Omnicolor: sweet and fruity. It’s good for use in sweeter white sauces (for the white peppers) or salsas (utilizing the multiple colors for a festive dip). 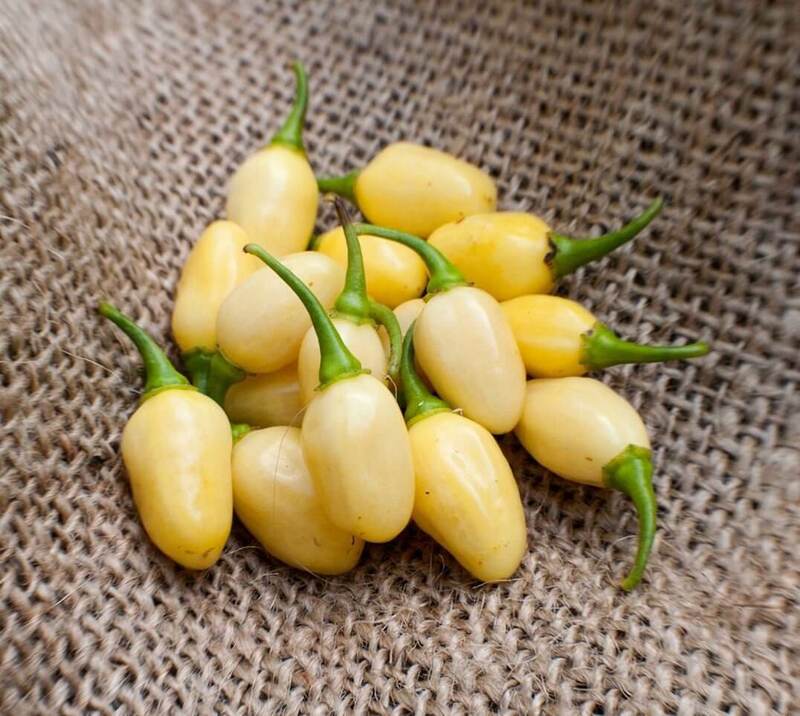 The hottest of the white peppers we cover here, the Peruvian white habanero is unassuming in its looks and size. The white runs from an off-white cream to a cornsilk white that tilts into yellow. Its profile looks more bean-like than pepper-like. Yet, within this tiny pod is significant heat. It shares the same Scoville heat range as its cousin, the common orange habanero. And it has full habanero flavor – fruity and slightly smoky. This is one wickedly good white pepper in a surprisingly small package. A little goes a long way, too, so take care when using them in the kitchen.